We all know that first impressions count. The first thing visitors to your business see when they sit in your reception or waiting area is the upholstery. Clean furniture and upholstery not only makes a positive impression on your customers, it also makes your employees feel good. They will appreciate the image that fresh, clean furniture and upholstery gives to the business. Keep your upholstery's appearance professional and avoid the cost of replacement with regular, thorough cleanings from ServiceMaster of Utica. By working with manufacturers' suggested treatments, along with our unique materials and techniques, we can carefully pre-treat, clean and dry your upholstery. Chairs, sofas, fabric screens and other office furnishings are cleaned on-site, so they are ready to use the next day. ServiceMaster of Utica has the most advanced methods and materials, offered by ServiceMaster Clean®, for maintaining your upholstery's appearance and your company's image. ServiceMaster Clean cleaning products. Fibrefresh does not soil so quickly due to a neutral pH level. ServiceMaster Clean cleaning products do not damage the fabric. Our upholstery maintenance programs prevent soil build up, avoiding premature wear of the upholstery fabrics. 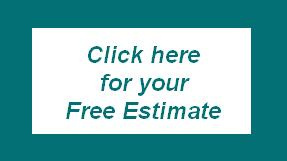 Get the most out of your upholstery by taking advantage of ServiceMaster of Utica's maintenance programs. Innovative products and techniques, along with the manufacturer's latest care instructions, will help extend the life of your upholstery and keep them looking clean and fresh. We help prevent soil from building up in the upholstery fabric base and avoid the dull, lifeless look of upholstery that is not cleaned on a regular basis. We offer an upholstery care program that prevents spotting build up and excessive wear, leaving a more consistent and pleasant appearance overall. We also offer hygiene protection for your upholstery. Not only can we give you clean, fresh looking upholstery; we can also protect you and your visitors from bacteria in the fabric. This is achieved by the application of ServiceMaster Fabricare, which has Hygienilac, a product which provides long term protection. For all upholstery cleaning, our technicians use specially-designed products, equipment, and methods every step of the way, including initial vacuuming and spot treatment, cleaning, rinsing, water extraction, and washing and polishing frames. Fabric furnishings are often heavily used and thus show soil and dirt quickly. We also offer leather cleaning and conditioning. Turn to ServiceMaster of Utica for all your upholstery cleaning needs in your home or at your business. Thousands of homes and businesses nationwide depend on ServiceMaster Clean for their upholstery cleaning needs.